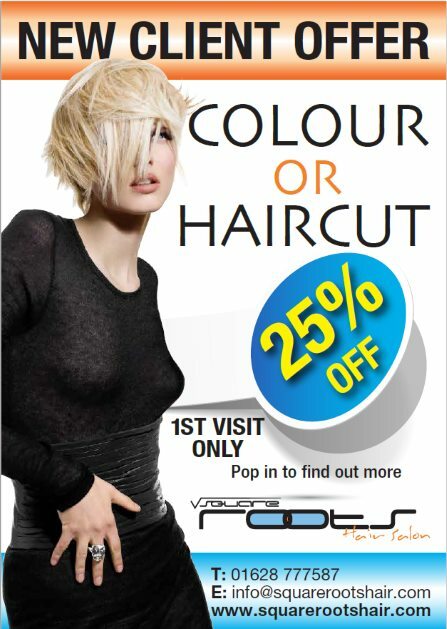 Save 25% on your first cut or colour. Save 25% on your first haircut. 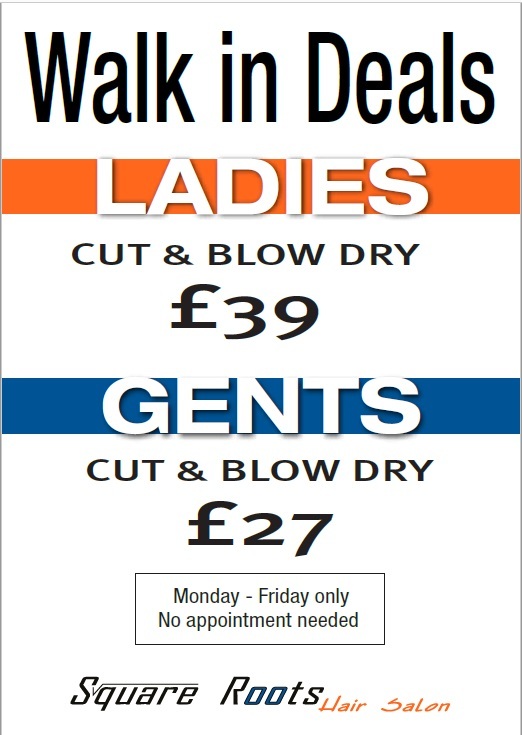 Ladies cut and blow dry £39. 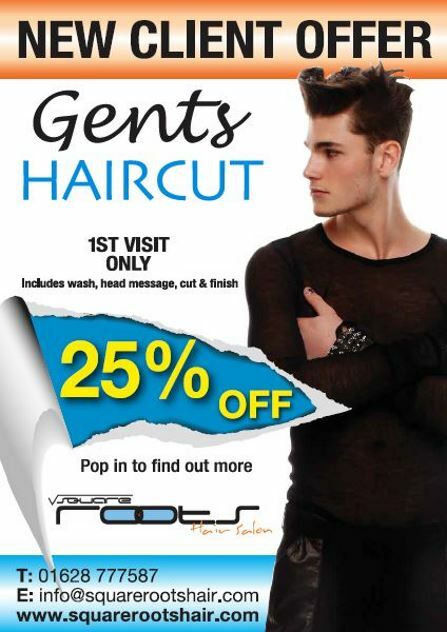 Gents cut and blow dry £27. No appointment necessary, Monday to Friday only. 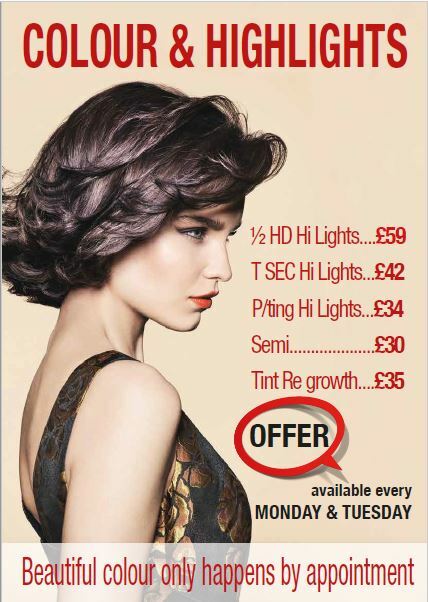 Discount on colour and highlights every Monday and Tuesday with Charlotte and Katie.